Apache or Nginx which one is better to use in Linux? Apache and Nginx both are the most leading open source web Hosting worldwide. Both the web server are responsible for serving more than 55% of traffic on the internet. These web servers are capable of handling numerous workloads and also dealing with other software to offer a complete web stack. 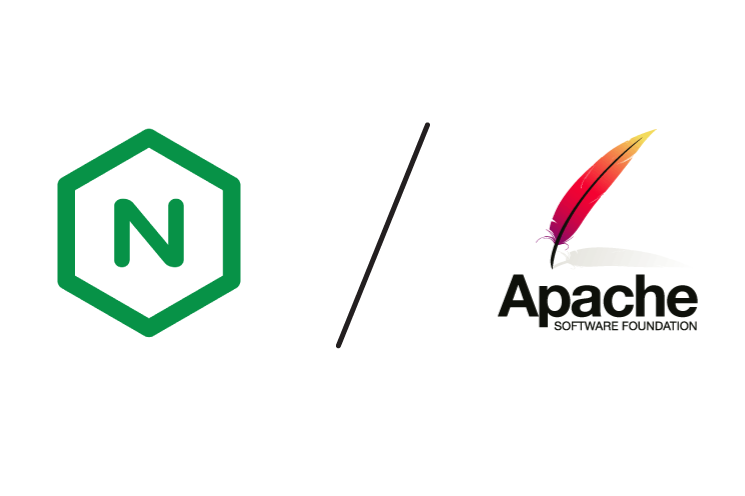 Apache and Nginx share several qualities and both the web servers are unique in their own way. It is also necessary to understand the situations where you may need to reevaluate your web server as required. Nginx has grownup worldwide since its release. It is lightweight resource utilization and it has the ability to scale up simply on minimal hardware. Nginx excels at serving static content faster and it is designed to pass dynamic requests off to another software that's fitted to those functions. Nginx is usually selected by administrators for the purpose of resource efficiency and responsiveness under load. The Apache web server has been the leading web server on the internet since 1996. Apache benefits from good documentation and integrated support from different software projects. Apache is usually chosen by administrators for its power, flexibility and widespread support. Apache is extensible through a dynamically loadable module system and will be able to process a huge number of interpreted languages without the need of connecting to the separate software. As you can see, both Apache and Nginx web servers are highly powerful, flexible, and capable to use in Linux Dedicated server. Deciding which server is best for you depends on the function of evaluating your specific requirements. HostingRaja is the leading Linux Server providers in India with easily affordable prices. With our Linux server, you will be provided with numerous of features like free varnish server, free website optimization, free SSL certificate, free control panel and much more of features. Moreover, websites which have a huge amount of traffic are well-suited to a Linux server. HostingRaja fully managed Linux server offer your website with the highest level of speed, top security, and 99.99% of uptime guarantee. Our Linux servers are designed in such a way that you get maximum performance from the servers. For more information contact our toll-free no 1800-258-8000. What is the Cost of setting up a Linux Dedicated Machine? Advantages of choosing a linux dedicated box? How to change the file permissions in Linux Virtual Machine? What is the average propagation time for the domain?